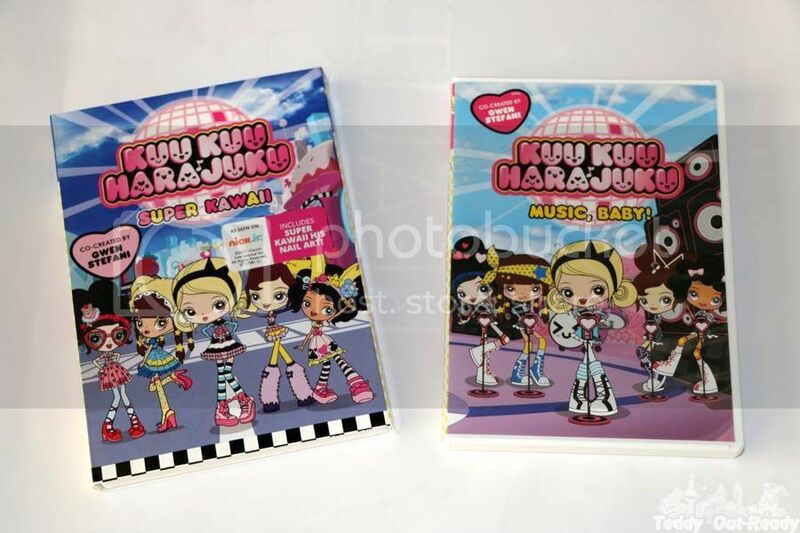 The animated series Kuu Kuu Harajuku follows the fun-filled adventures of the band HJ5, formed by G. Five friends, members of super cool kawaii band: Love, Angel, Music, Baby and G, live in Harajuku City, a beautiful place where everything can happen. The inspiration for this popular animated series came from Grammy® Award-winning musician Stefani who wanted to create an animated series for girls that encourages and celebrates creativity, self-expression and individuality. The show’s setting is inspired by the extraordinary street fashion and creative youth culture of the Harajuku along with fantasy fashion. The talented girls of HJ5 band love singing and dancing. Their fashionable outfit is a great way to express their style and imagination. HJ5 travels all over the globe to put on shows for their fans. Though their manager Rudie is a pretty good guy and dedicated to the band, he often does not pay attention to details when organizing concerts, which leads to total mess like in Water Baby episode. There sea horses love following Baby and break the underwater construction unintentionally, but HJ5 cannot finish the concert because of that. Rudie is not the only one who cause the band to stop or interrupt the performances, the whole bunch of villains, aliens and some random circumstances become obstacles on the talented girls path. But together the band is unstoppable, every downturn bring them new way to learn and show their creativity. I like that girls in these series show who they really are. They solve problems their own way, which may be girlish way not always the best but they true to themselves and show respect to everyone. HJ5 band works hard to present their songs to the audience and you can hear many of them in the series. Kuu Kuu Harajuku: Super Kawaii contains 12 episodes from Season One. Follow the girls as they go into the space in a spaceship, transform into chess figures on a stage, dive into the ocean and always true to their "kawaii" fashion. HJ5 do what it takes to perform, and maybe even save the day! Check out the "kawaii" soundtrack to the much-loved TV series, available for download now on itunes.com and Amazon.com, or stream it on Apple Music and Spotify. HJ5: Kuu Kuu Harajuku features the show theme and five new songs from the hit children’s television series including, "Dancing in the Sunlight", "Change It Up" and possibly the cutest call to arms ever, "All For One"! Kuu Kuu Harajuku: Super Kawaii DVD is available now for pre-order at Amazon.com, Amazon.ca and ShoutFactory.com. Initial shipments of the DVD contain nail decals of fun Kuu Kuu Harajuku-inspired emoticons (while supplies last). The 2D-animated series currently airs on Nick Jr. in the U.S. and on Family Channel in Canada. Mattel, famous toy manufacture, launches Kuu Kuu Harajuku fashion doll and small doll line infuses popular Japanese harajuku fashion, and allows girls to customize and create their own fashions with interchangeable outfits and accessories. The line includes product based on singer G, plus Love, Angel, Music and Baby. Each best pal adds her unique personality to her fashion, band and fun. Kuu Kuu Harajuku: Super Kawaii will be available on DVD on September 26, 2017. 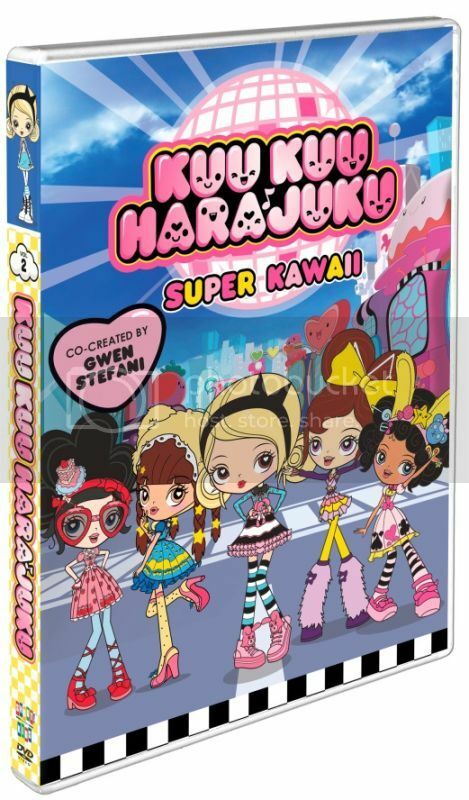 For our readers we are excited to giveaway a copy of Gwen Stefani's Kuu Kuu Harajuku: Super Kawaii DVD. Gwen even perform the main song there. For your chance simply fill the Rafflecopter form below and Good Luck! The giveaway is open to US and Canadian residents & ends October 10, 2017! I would like to have this DVD for our family. I would like to have this DVD for my granddaughter,thank you ! I*d like to win for my niece*s little girls. I would like to win this for my grandchildren for our movie nights. I would love to win this for both of my little girls! They would be thrilled to have it to watch! I'd like to win this for the twins. My granddaughter Remy is the biggest Harajuku fan in our family! I would love this to win this for my littles. My grandchildren absolutely would love a cool Kuu Kuu Harajuku: Super Kawaii DVD for a great time. I have grandchildren that definitely would like to use the amazing .Kuu Kuu Harajuku: Super Kawaii DVD for a fun time. My nieces and nephews absolutely want the marvelous Sheep Kuu Kuu Harajuku: Super Kawaii DVD for a neat time. My grandchildren absolutely would like to have the wonderful Kuu Kuu Harajuku: Super Kawaii DVD to use all the time. My many children would just like the awesome. Kuu Kuu Harajuku: Super Kawaii DVD to always use and enjoy.